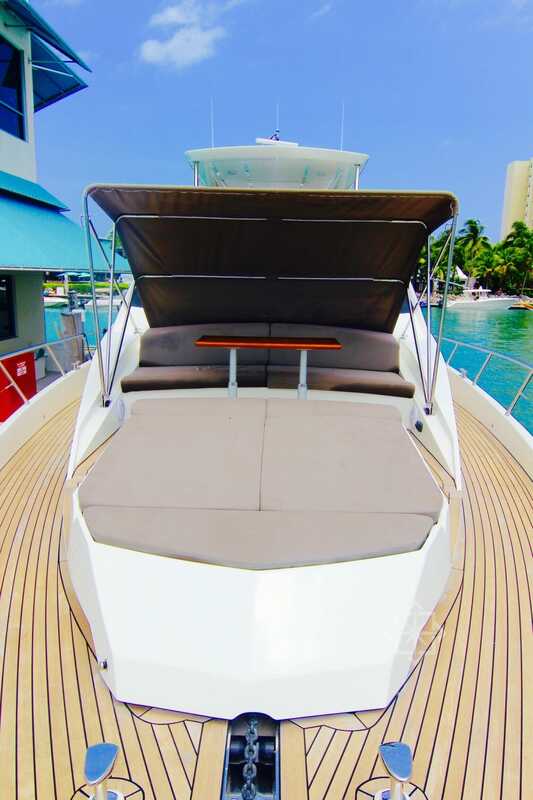 The beautiful 2013 78′ Numarine Flybridge yacht is elegant and unforgettable with its sleek lines and sharp modern angles. 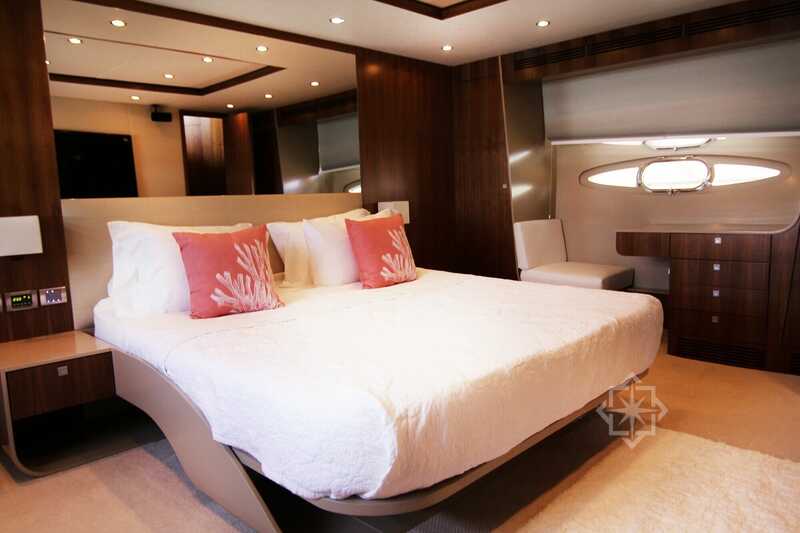 The yacht boast Armani inspired furnishings and eye catching orange accents. For entertainment she includes a Bose audio set-up with full surround sound and six plasma tvs (including an apple tv with 100 movies available on demand). 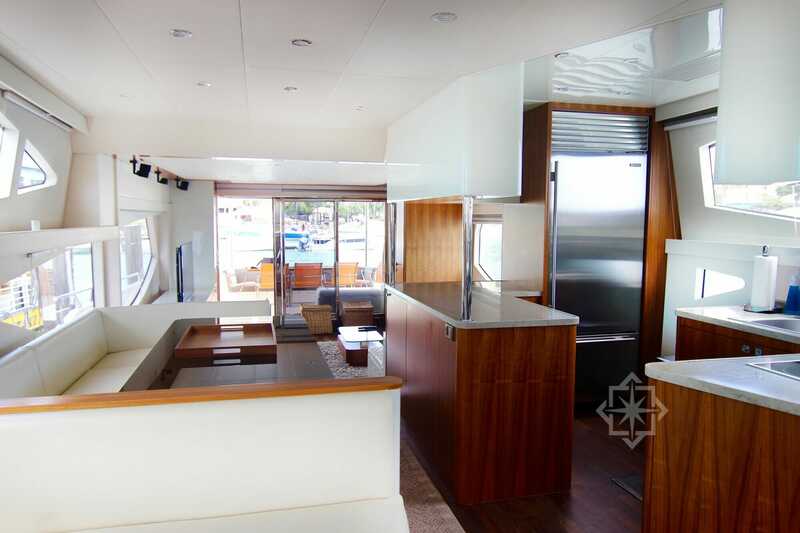 The interior is lovely with white and cherry wood furnishings, fully equipped Galley, sumptuous couch and cozy breakfast setee complete the Salon. 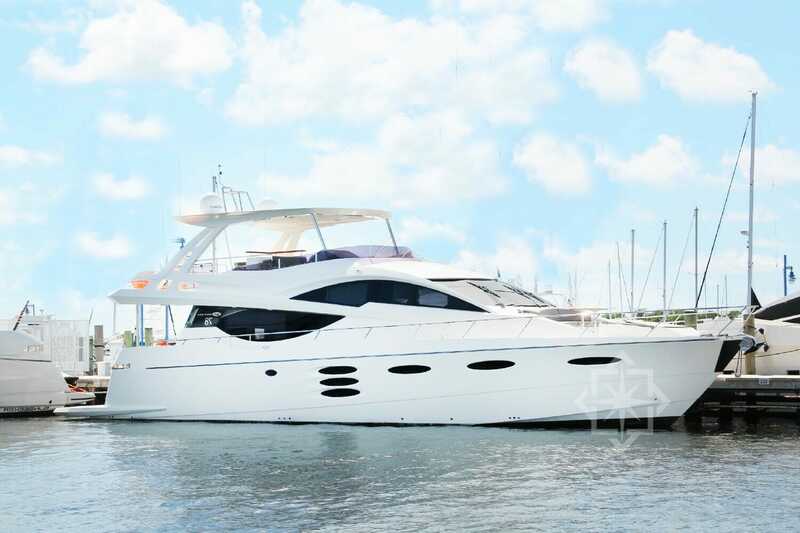 For dining the aft can seat 8 guests comfortably and the flybridge can seat 5. 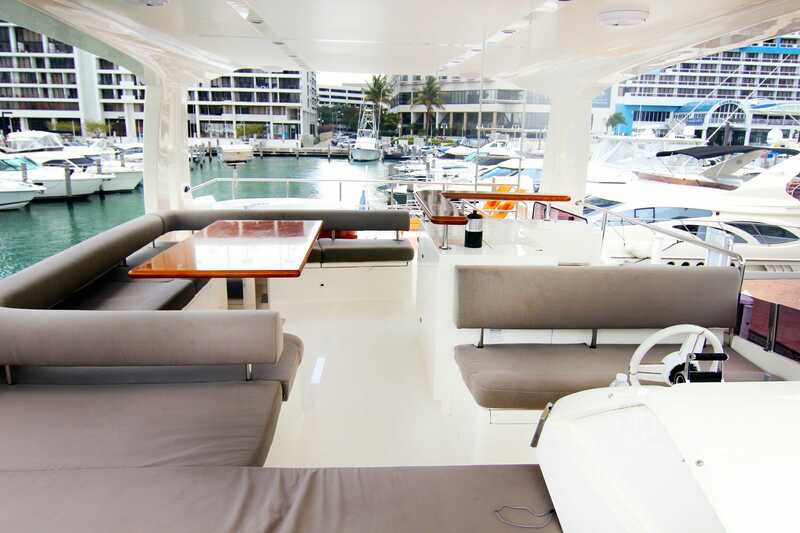 For those who love to sunbathe this yacht has plenty of areas and space for your whole group! 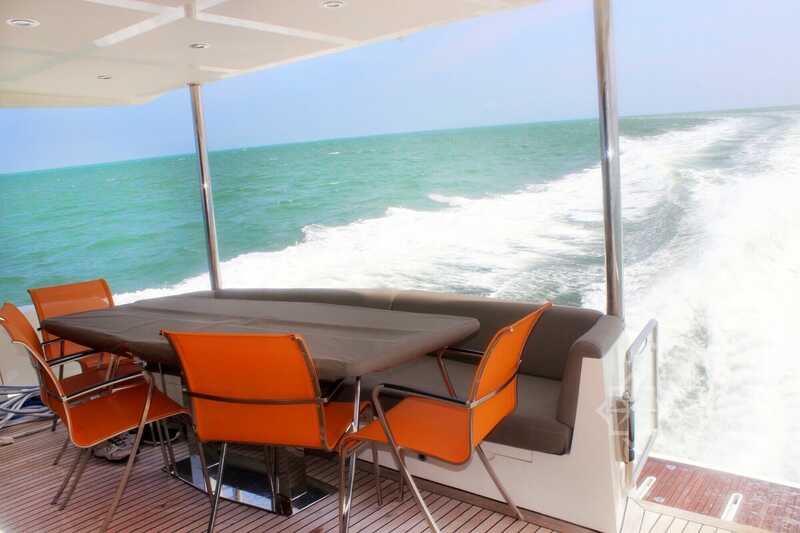 The bow of the 78′ Numarine has a large sunpand, and small table with optional bimini top. 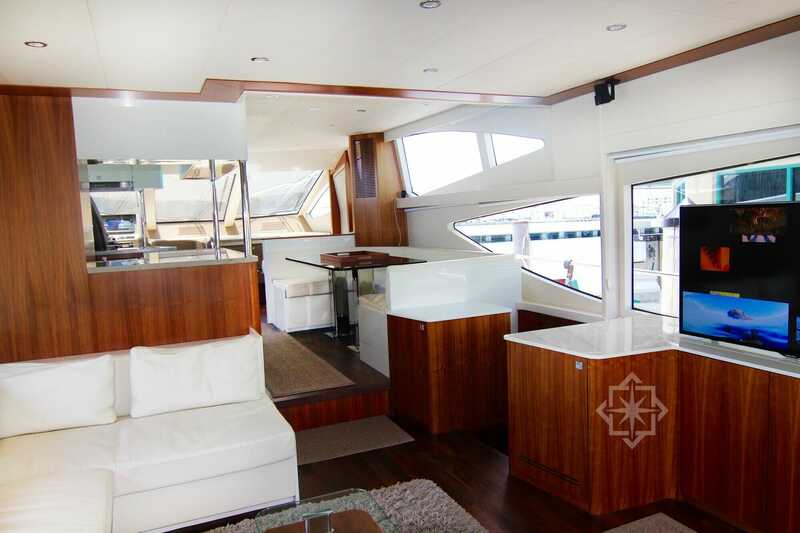 The flybridge includes two lounge chairs and a jacuzzi surrounded by sunpads. Also included is a Jet ski, wet bar and Bbq.